1. Purchase Thunder Beach® Official Merchandise! 2. 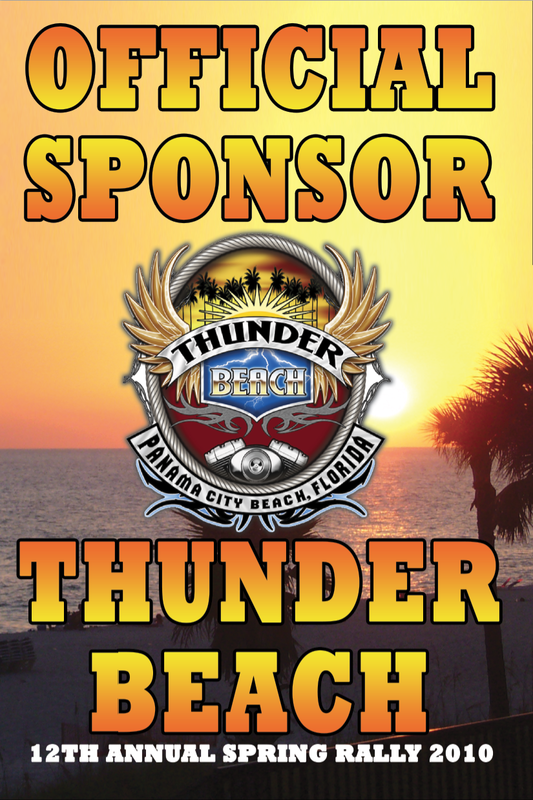 Patronize Official Thunder Beach® Sponsors! 3. Shop at Official Thunder Beach® Vendor Villages! What do we mean by FREE Rally? Well, if you were one of the many thousands who attended any of our previous Rallies, you probably know from experience we offer a lot of entertainment at each of the “Official Thunder Beach® Venues” – (Frank Brown Park, Hammerhead Fred’s, Harley-Davidson of Panama City Beach, The CrossRoads & Sharky’s) – without any gate charge. In fact, if you are at an “Official Thunder Beach® Venue” we don’t even charge for parking! If you are cruising around the beach looking to quench your thirst, rest your head, or get a great meal, then LOOK FOR THIS SIGN! Only the Local Businesses that OFFICIALLY SUPPORT Thunder Beach® have these signs! Keep this rally free by supporting our “Official Thunder Beach® Business and Lodging Sponsors”. Many of these Sponsors offer special deals and promotions for Thunder Beach® visitors that are well worth stopping in to check out. We encourage you to visit the businesses where you know you will be treated right and provide you with the hospitality that IS what coming to THUNDER BEACH® IS ALL ABOUT! 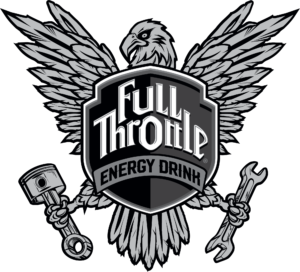 It’s these sponsors that help us bring you “The Most Biker Friendly FREE Rally along the World’s Most Beautiful Beaches”. GET YOUR OFFICIAL THUNDER BEACH® MERCHANDISE HERE! We know you want it! 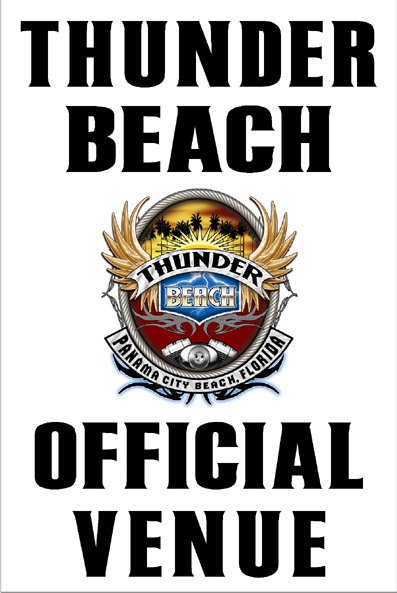 We’ve heard several times during the past rallies, as well as received several calls after each rally, questioning “Where can I get my Thunder Beach® T-shirt, patch or pin? I saw “Official Bike Week” shirts, but I couldn’t find anything that said “Thunder Beach®” on it. Look for this “Official Thunder Beach® Merchandise” sticker on every T-shirt. The only place you can purchase “Official Thunder Beach®Merchandise” is at an “Official Thunder Beach®Merchandise” tent. We know there are a few businesses trying to make a fast buck without supporting our rally. In response to your calls and requests, look for us in the Official Venues. When you purchase our merchandise, not only are you getting a “commemorative” T-shirt, patch or pin, you are doing your part to keep YOUR RALLY FREE! At Thunder Beach®, we work hard to bring you a wide variety of quality vendors, so you will be able to find anything you are looking for. Need to contact one of our vendors after the Rally? Contact the Thunder Beach® office and we will have the vendor contact you. If it’s not an “Official Thunder Beach®” vendor or merchandise tent, we cannot guarantee the quality you have come to expect from a quality Rally. If you have a problem with a vendor or merchandise that is not located at an “Official Thunder Beach® Venue”, we’d be unable to help you resolve your issues.